After a healthy serving of preseason games, we still have more questions than answers when it comes to the fortunes of the league’s most intriguing players and teams. So to help you get a handle on where each team stands heading into the regular season, we’re addressing the biggest questions facing every NBA team, starting with the Western Conference. Just how good will Luka Doncic be? 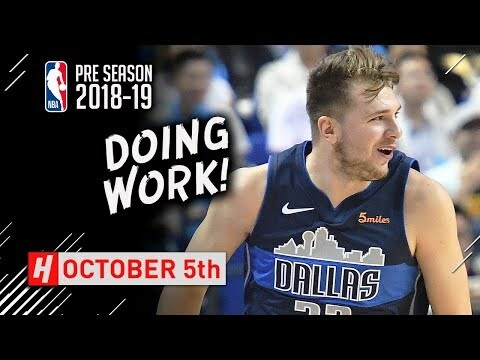 We’ve only seen the Mavs a few times so far, but Doncic is already showing that he can do it all. Make no mistake, this dude is an absolute competitor, and at 19-years-old his game is ridiculously advanced across the board. After all, he wouldn’t have won EuroBasket and EuroLeague if it wasn’t. Doncic’ outside shot is smooth as hell, his handles are sublime and his vision is even better. It’s very early days and none of this guarantees anything in the NBA, but the smart money is on Doncic becoming everything we hoped he would be, and maybe more. Can Isaiah Thomas become Isaiah Thomas again? It seems crazy to think Isaiah Thomas could return to the kind of blistering form which earned him All-NBA second team honours two seasons ago. But you know what else seemed crazy? The idea that a 5’9 dude nobody had ever heard of could become one of the best players in the league after being selected with last pick in the draft. Thomas has built a career on proving people wrong. And when you consider he was dominating all-comers as recently as 18 months ago, before injuries struck and an ill-fitting situation in Cleveland arose, it’s not completely out of the question. With Michael Porter Jr also on Denver’s roster, clearly the Nuggets have acquired a taste for injured, high risk, high reward guys. Can they stave off the inevitable fatigue and boredom? No team outside of the Bill Russell Celtics has appeared in more than four straight Finals, and there’s a very good reason why. The mental and physical fatigue that comes with a single Finals run is so intense that mere mortals like you and I will never truly understand it. And the Warriors have done it four times running. They were on shaky ground at times last postseason, and came dangerously close to losing to the Rockets in the Western Conference Finals. That’s because it’s just so hard to get up for games when you’ve done this so many times before. Even if they’re Western Conference Finals games, apparently. Will things work out with Melo? They say defence is 90 percent effort. But something tells me it’ll never matter how hard Melo tries. 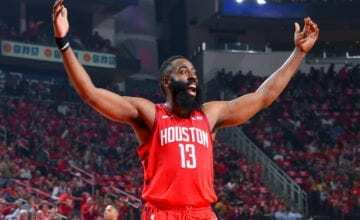 While many casual fans were foaming at the mouth when Melo joined James Harden and Chris Paul in Houston, those who appreciated the finer points of the game found it far less palatable. With Trevor Ariza leaving for Phoenix, the Rockets have essentially swapped the perfect three and D player for their system with the defensively deficient Melo. And that’s before we start picking apart his questionable habits at the offensive end. Will they try to compete or rebuild? In a development which mirrors much of their history, the Clippers have stumbled into a rather strange roster. They have a lot of ‘not bad but not great’ pieces, while two of their better guys – Danilo Gallinari and Milos Teodosic – traditionally spend most of their time in suits. So what do the Clippers do from here? Trading Blake Griffin’s monstrous contract for a package which included Tobias Harris and a future first rounder certainly suggests the Clippers have an eye on the future, but there’s still no telling exactly what their plan is. Adding Jerry West to their braintrust, while stripping Doc Rivers of his front office role, were at least steps in the right direction. How good can Brandon Ingram be? 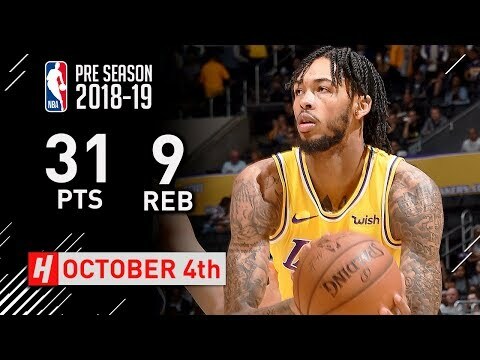 In an early preseason matchup with the Kings, Brandon Ingram gave everyone a glimpse into his future: a superstar swingman with the body, athleticism and shooting ability to dominate almost anyone on any given night. Easily racking up 31 points as the game’s decisive winner, Ingram was the brightest star in a building which also contained LeBron James. The Lakers will just be hoping the former Blue Devil reaches the stardom he’s clearly destined for before LeBron starts declining (if LeBron ever starts declining??). If that Kings game was the rule and not the exception for Ingram this season, they might just get their wish. Is there any point holding onto the Conley-Gasol core? The Grit and Grind Grizzlies were objectively awesome, but those days are well and truly over. Memphis still has the two best players from that era, but they have very little alongside them. With Conley and Gasol being 33 and 30 respectively, it might finally be time to blow this thing up. Ok, it’s definitely time to blow this thing up. When will they trade Jimmy Butler, how much will they get for him, and will Thibs have an aneurysm in the process? 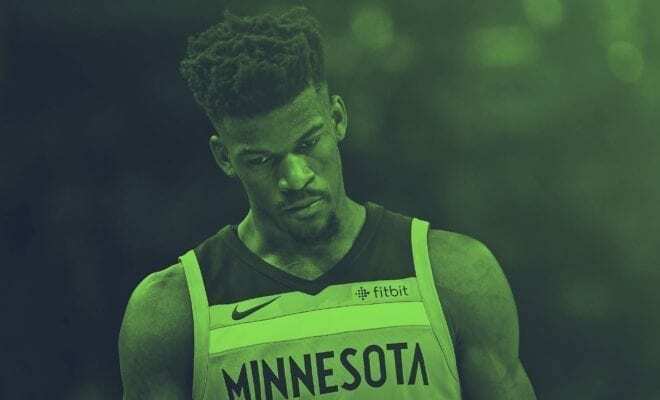 Do you recall what Miami – the team reportedly most interested in Jimmy Butler – initially offered Minnesota for his services? Bam Adebayo, Josh Richardson and a protected 2019 first-round pick (according to Woj, obviously). That’s the best offer they’ve been able to attract so far. It’s just yet another sobering reminder that trading superstars never ends well. You’re lucky to get 50 cents on the dollar. At this stage it’s looking like Butler will be on the roster on opening night, and this thing could go right down to the trade deadline. Unless, of course, Thibs insists on keeping Butler – who he might love more than his own family – until the very end. Have they done enough to keep Anthony Davis happy? Anthony Davis and DeMarcus Cousins were tight during their time together in the Big Easy, and as you may have heard, Cousins is now a Warrior. However, if AD has half a brain (and I have reason to believe he does), he was the first to notice how much better the Pelicans were when they were freed of Boogie’s turnovers, slowness and lack of defence. The real problem is that New Orleans still doesn’t have an overly talented team. Their top four of Davis-Holiday-Randle-Mirotic is solid, but the depth chart falls away sharply after that. And while Davis is under contract until the summer of 2020, there’s nothing stopping him from demanding a trade before then if he comes to the conclusion that New Orleans is unlikely to content in his lifetime. 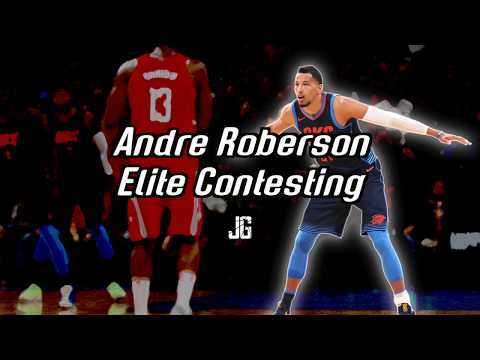 When will Andre Roberson return? When Andre Roberson broke his patellar tendon last season, the Thunder’s defence broke with it. Roberson was their defensive backbone, and despite having Steven Adams in the middle, they simply couldn’t function defensively without him. Last season the Thunder were 11.2 points per 100 possessions worse with Roberson off the floor, the biggest single player defensive differential in the league. The question now is: when will he return? 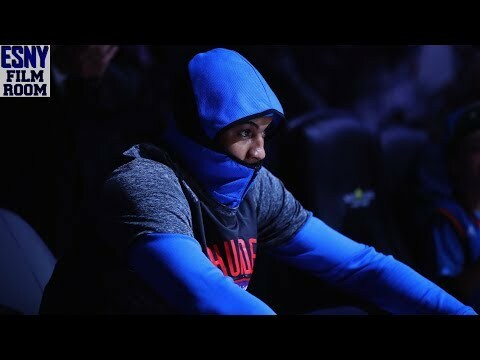 Earlier this month ESPN’s Royce Young reported that Roberson would miss miss at least an additional two months after suffering a setback in his recovery and undergoing an additional procedure. How much confidence he has in his body when he returns, and how quickly he can make an impact are also big question marks. Can DeAndre Ayton be a genuine stud right away? Much like Luka Doncic, DeAndre Ayton is looking the goods so far. Physically, few can match the freakish big. Throw in his athleticism and soft mid-range jumper, and you’ve got yourself a problem. Ayton averaged 21.3 points, 13 rebounds and 3 blocks in 30.3 minutes over his first three preseason games. Admittedly, his opponents over that stretch – which included Sacramento and New Zealand – weren’t exactly the heavyweights of the basketball world. And yet, Ayton has still shown enough to suggest he’ll continue playing at a high level against anyone. Does the Damian Lillard-CJ McCollum combo have a future? Remember that stretch where teams like Denver and Atlanta were solid every single year, but you just knew they weren’t a legitimate threat and probably never would be? We’re approaching that same territory in Portland. Lillard and McCollum make up one of the highest scoring backcourts in the league, but the Blazer’s bloated contracts and lack of assets have left them with hardly any wiggle room to improve the team. Hence the temptation to trade one of their stars. It’s pretty much the only way they can force a major shake-up. If Portland isn’t going anywhere – and last year’s first round sweep at the hands of the Pelicans suggests they aren’t – there’s no reason to delay the inevitable. When will Vlade Divac stop accidentally leaking the organisation’s deepest, darkest secrets on social media? Yeah, that’s probably enough of the whiteboard pics, Vladfather. 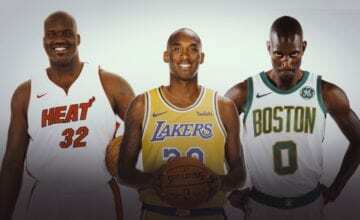 Can the Spurs make it work with two ball dominant headline acts? San Antonio’s success has been built on a foundation of selflessness. And while they (eventually) made it work with the ball dominant LaMarcus Aldridge, incorporating DeMar DeRozan on top of that could prove to be quite the challenge. If they didn’t have Pop, I wouldn’t be so sure it could work. But they do, and it will…one way or another. How much of a leap will Donovan Mitchell make? Without high draft picks or star free agents knocking on their door, Utah will have to rely on internal improvement. And their best bet to do so is clearly Donovan Mitchell. It’s hardly a concrete rule, but NBA players traditionally make major strides between their rookie and sophomore seasons. Mitchell is already a star offensively, but he’s the first to admit his defence could be better, even going as far as labelling it “terrible” earlier this month. If he can lift at that end of the floor, it will only boost Utah’s chances of taking things to the next level.